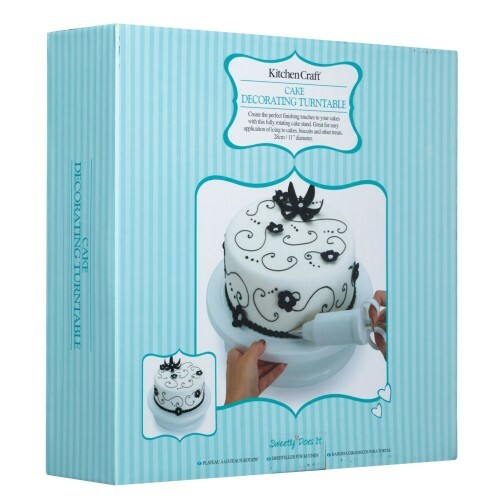 Kitchen Crafts Sweetly does it 28cm revolving cake decorating turntable has a footed stand with a revolving centre plate for easy cake decorating. Create the perfect finishing touches to your cakes with this fully rotating stand. 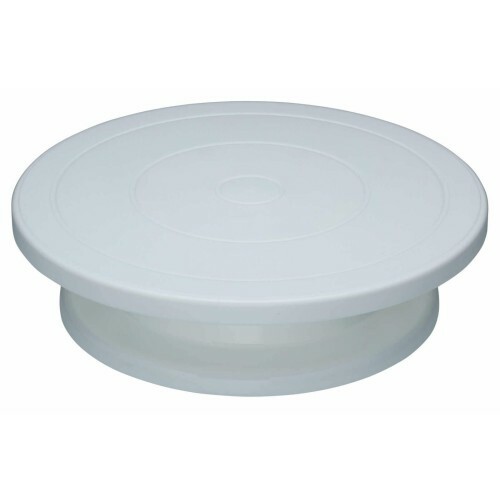 Great for easy application of icing to cakes, biscuits and other treats. Part of Sweetly Does It, our extensive sugarcraft collection that offers everything you need for cake making, decorating, presentation and serving.